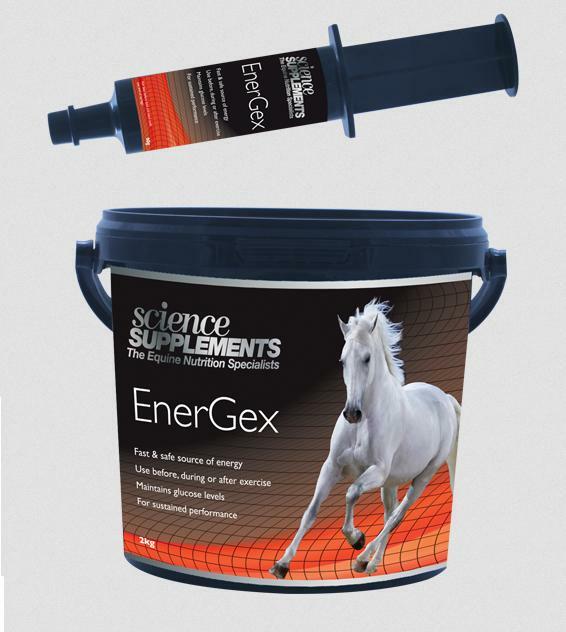 Science Supplements EnerGex can be used before, during or after exercise to support energy delivery to the horse when they need it most. It is also ideal for lethargic horses and as an aid to maintain blood sugar levels during periods when their food intake is decreased. It is a safer source of carbohydrates than simple sugars and is low-glycaemic so glucose levels don't rapidly peak or drop. This provides a balanced glucose supply which can also increase the utilisation of fat during exercise, improving endurance. Below are some recent questions we've received regarding Science Supplements EnerGex for Horses, including answers from our team. Is this safe for laminitics? Is this safe to feed a laminitic? I need to give him more energy without weight gain and sugar. I would still be wary of giving this to a laminitic horse or pony. Although the rise in blood glucose does not happen as quickly as some other feeds or supplements it does still increase blood sugar which could lead to a bout of laminitis. If you are looking for something as a "pick me up" I would try Red Cell or Equistro Heamolytan 400 which should provide more energy without the sugar content. If your horse is older it may also be worth your vet testing for cushings if they haven't already since this can cause lethargy.